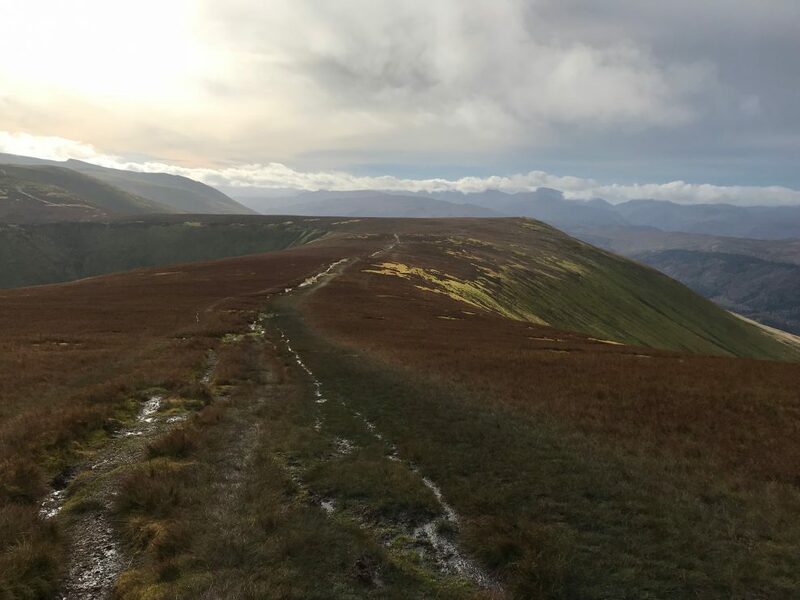 The Dodds (The Three Dodds) are made up of Great Dodd (857m), Watson’s Dodd (789) and Stybarrow Dodd (843m), and form part of the Northern Helvellyn range of mountains in the Eastern Lake District. 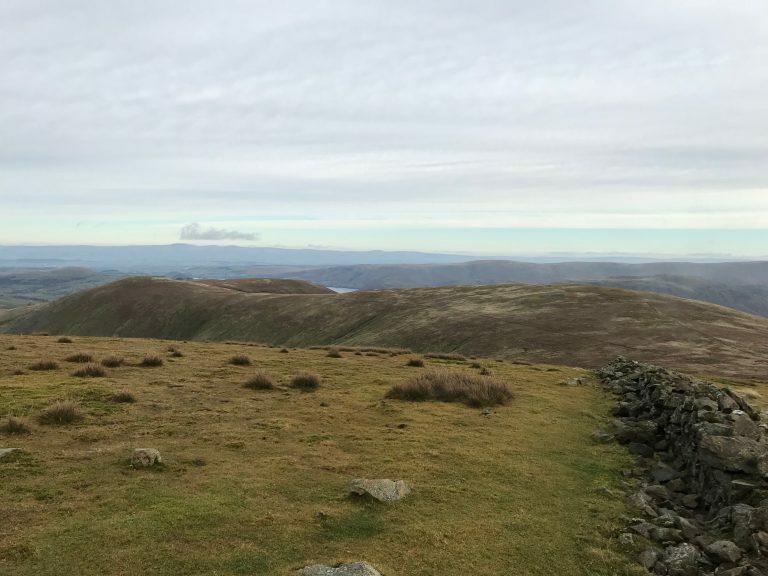 Great Dodd is the highest and most dominate of the Dodd’s comprising of three ridges leading from its vast rounded grassy summit. 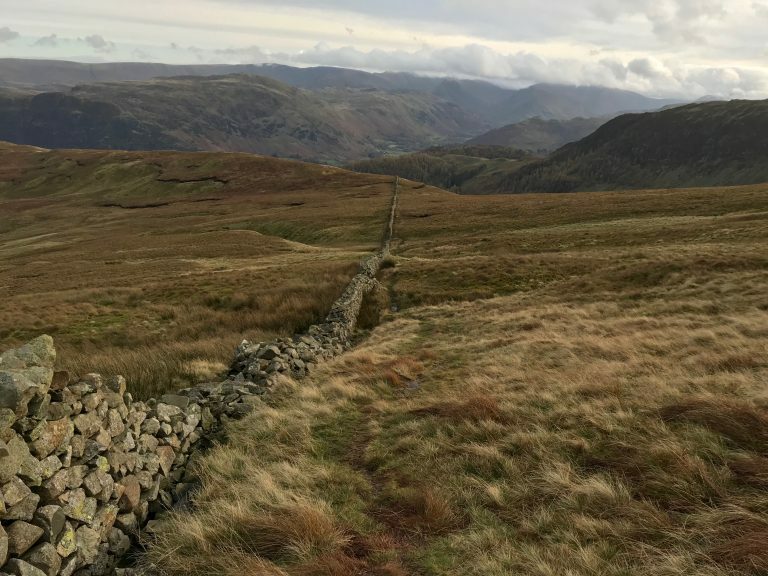 The fell is made up of several subsidiary tops, with Calfhow Pike being its most visited, and its south-west leading to the neighbouring Watson’s Dodd. 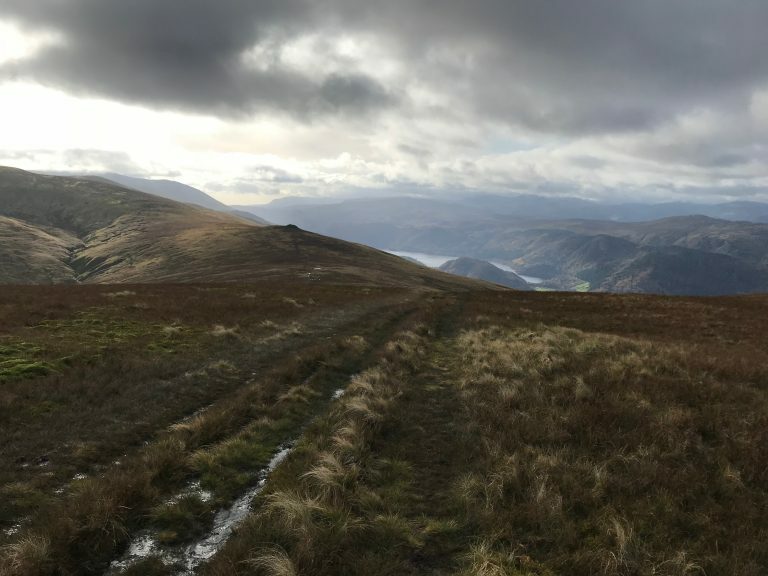 The Dodds can be completed in several ways, but the classic round starts near the village of Dockray close to Ullswater, and takes in 5 Wainwrights on a 12-mile circuit. 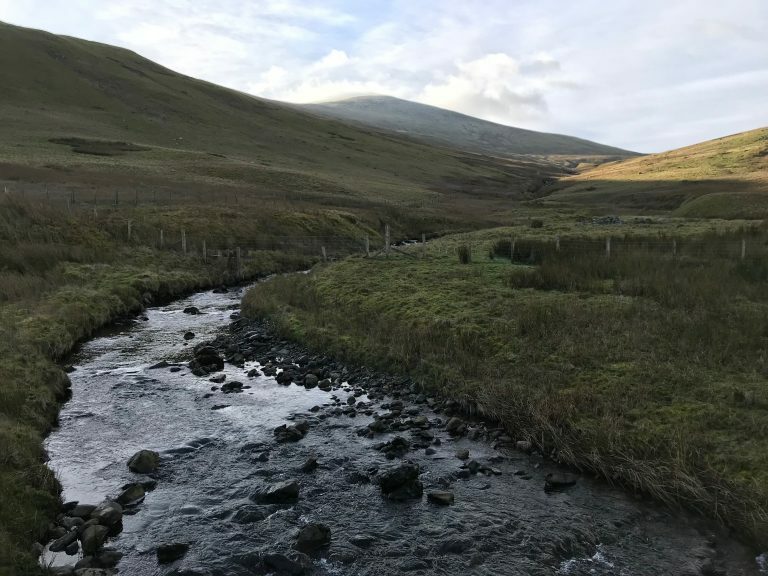 The round starts at High Row (1-mile West of Dockray) and follows the ‘Old Coach Road’ to the North-eastern slopes of Clough Head (726m). The route leaves the road at a gate (NY 341 234) and follows a steep path to the summit via White Peak. 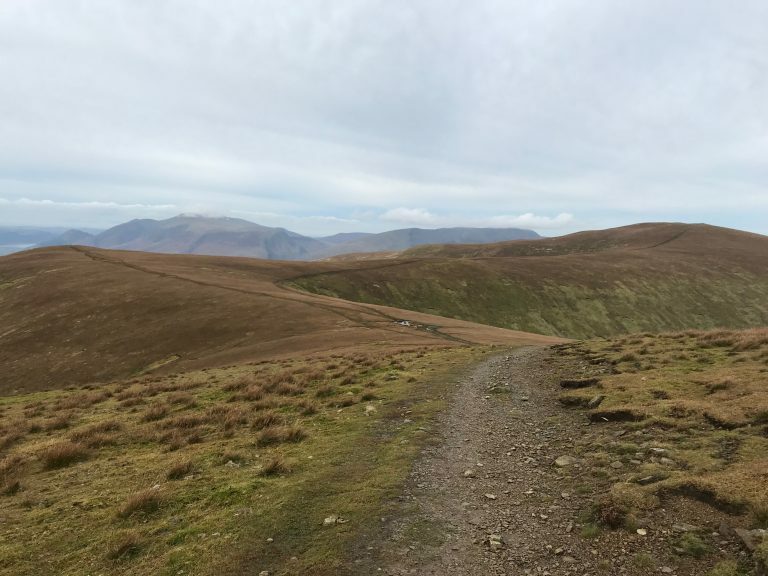 From the summit of Clough Head the path is easy to follow (in good conditions) and leads you across the grassy summits of Great Dodd, Watson’s Dodd and Stybarrow Dodd. 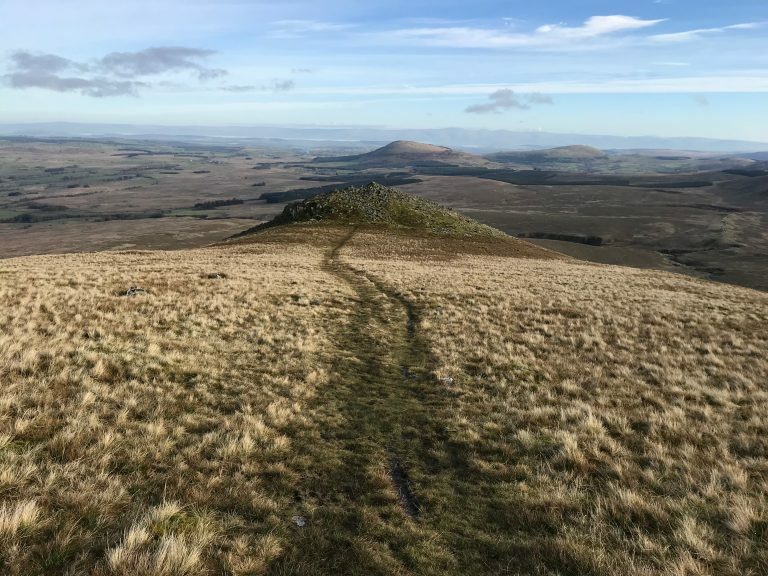 The route down is via White Stones to the east and over to Hart Side (756m) which is one of Stybarrow Dodds several subsidiary tops. 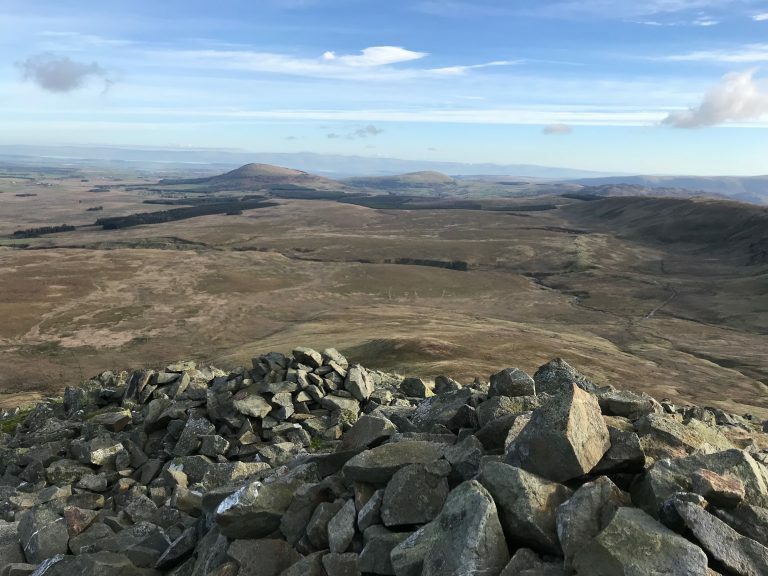 From the summit of Hart Side continue East to a cairn and follow the wall South-East for 700m until reaching a path across boggy ground to Dowthwaithead. Follow the road from this little farming community back to High Row. *If you fancy tackling the Dodds then ensure you are properly equipped and have the relevant experience. Always go suitably dressed in the correct clothing approp to the terrain and carry any food, water and extra gear as needed. Always carry a map and compass, a full route description, and ensure you have the skills to use them. 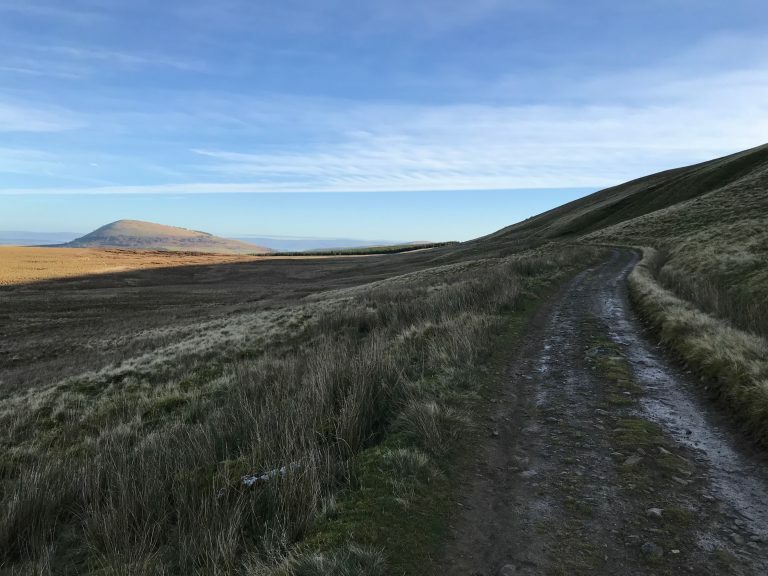 If you are new to hillwalking then take a look at our beginners hillwalking course and our navigation course. 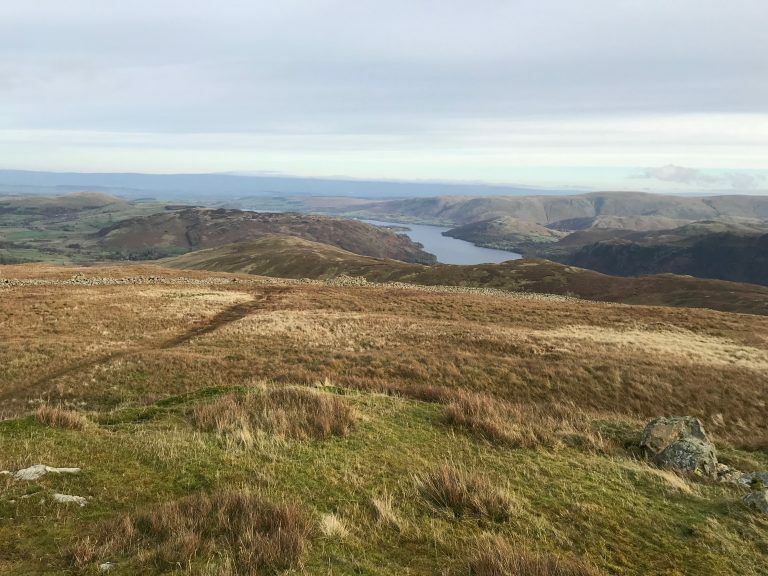 These courses will give you the skills and confidence to explore the mountains safely and competently. Find out more information about all our hillwalking skills courses.